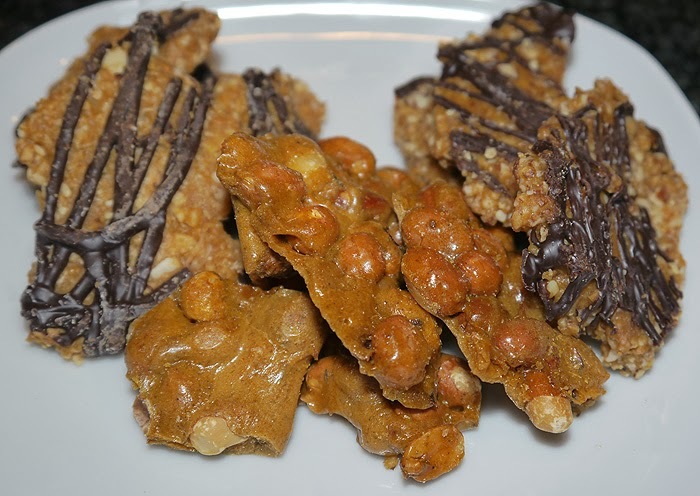 I am happy to introduce you to my new favorite local candy company called Nutwhats! Founded in 1999 and headquartered in Chandler, Arizona, Nutwhats makes sweet and savory treats that will brighten anyone’s day. Hand-crafted, preservative-free and fresh premium ingredients leave you hankering for more. First, I sampled their new candy, Green Chile Beer Britty; resembling peanut brittle, but with a crispier, buttery texture, this candy had a nice kick, slightly above the average green chile, but not too spicy. It was one of my favorites. Next, I enjoyed the ‘Scribbles’, similar in texture to an Almond Roca or soft granola bar, it was drizzled in chocolate and had sweet and nutty with flavors such as Cashew Coconut and Salted Almond. These addictive confections are sold individually or in a sample pack. You can find them in 8 different flavors at AJ’s Fine Foods and local farmers markets around town.